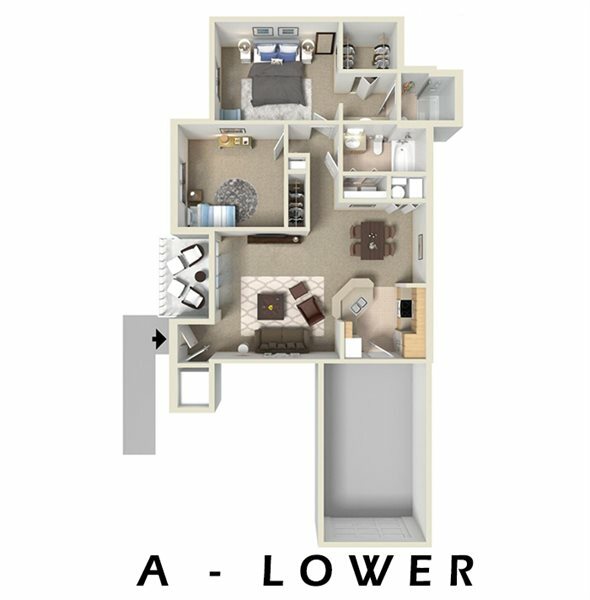 Choose from the 7 different floor plans of our spacious, luxury apartments. 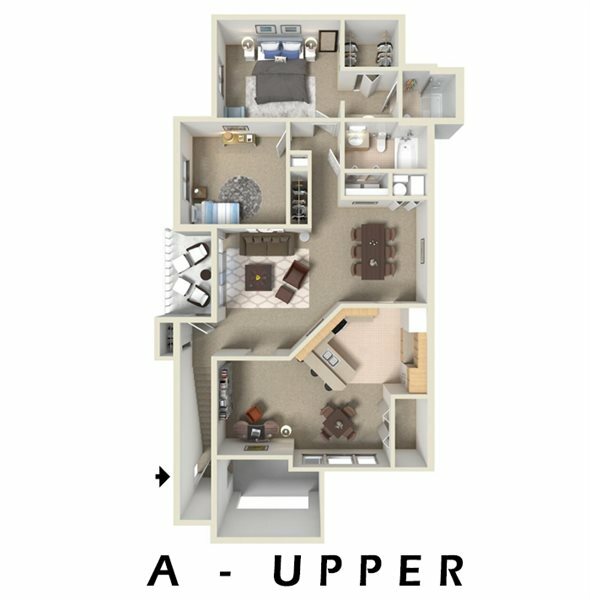 Each offers living space designed to maximize comfort and convenience for individual lifestyle requirements. 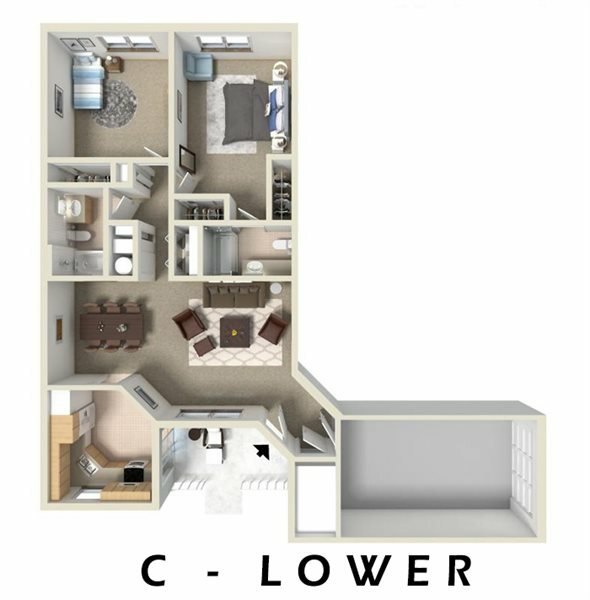 Our apartments include a full package of features that are beyond the ordinary. 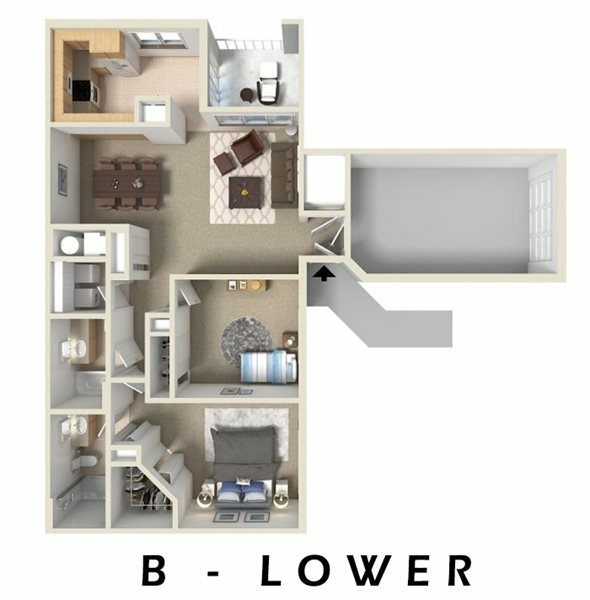 In addition to private entrances and attached garages we offer spacious fully equipped kitchens, complete with refrigerator, range/oven, dishwasher, microwave and garbage disposal. 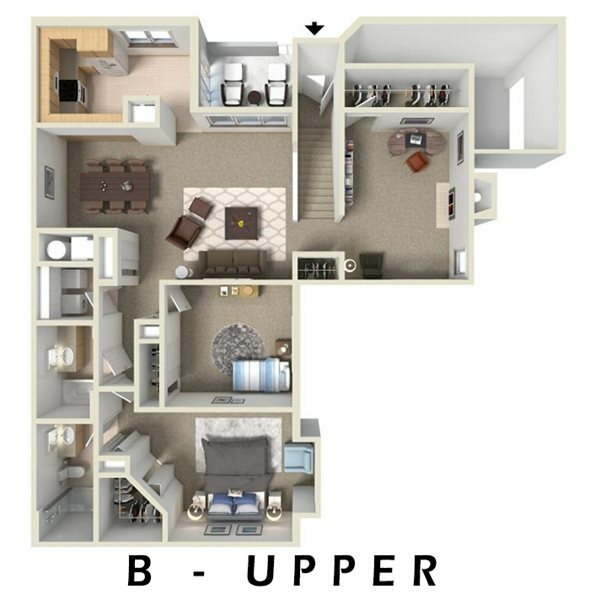 Generously sized master bedroom with walk-in closet and it’s own full bathroom. 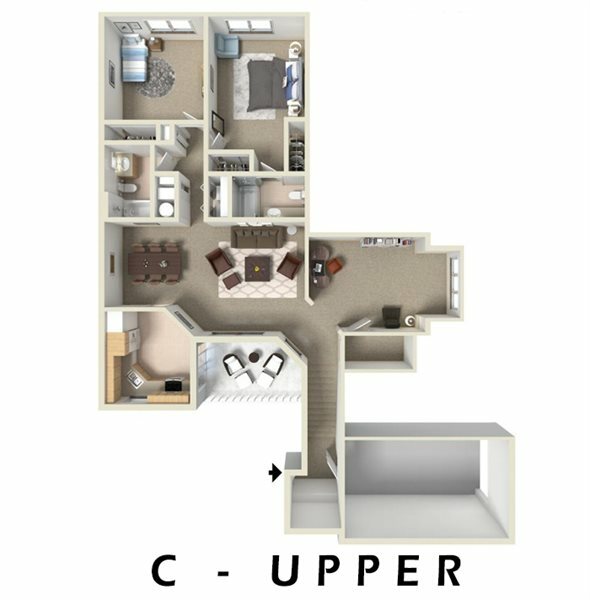 Also included with each apartment are your own full size washer and dryer. 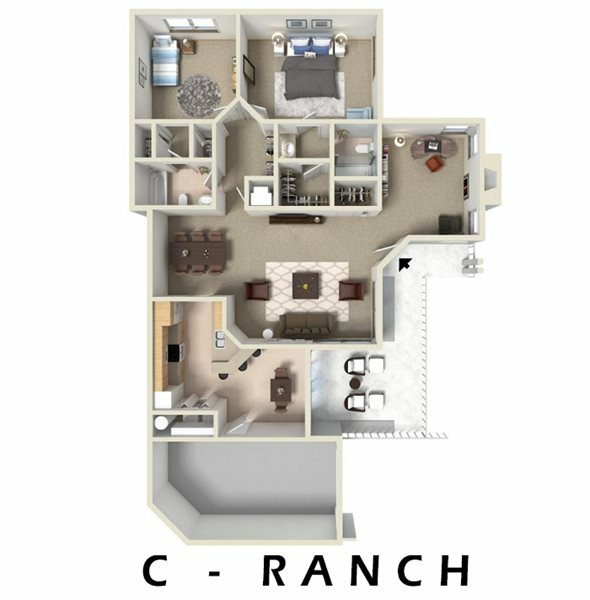 Our on-site services, such as the 24 hour maintenance staff and our attentive property management team, makes life at Overlook Lakes a special pleasure.